At Round Eye Supply, we know pulling off a large reception or banquet is no easy feat. Planning starts with the event venue, then the guest list, dining menu and entertainment. They’re all fighting for a share of the budget, but you can save time and money on elegant WNA Comet dinnerware table settings here. WNA Comet, a leading manufacturer of disposable plastic dinnerware, boasts a stylish collection of products ideal for single use at large events. WNA Comet plastics mimic the look of fine china, quality glassware and expensive cutlery without the fear of breakage. The best part? No dish washing, making clean up a breeze! Comet Clear Round Plastic Plate 6 in. Clear Scrollware Plate 7.5 in. Clear Legacy Old Fashion Tumbler 9 oz. Clear Legacy Plastic Tumbler Cups 10 oz. 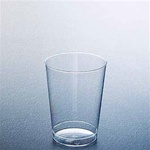 Clear Comet Tumbler Cup 12 oz. Clear Classicware Rocks Fluted Squat Tumbler 9 oz. Clear Prestige Plastic Stem Cup 8 oz. Unwrapped Slim Straw Red - 8 in. Clear Opulence Round Plate 7.5 in. Black Profiles Square Plate 10.25 in. 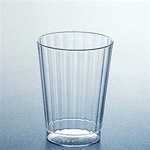 Clear Prestige Tall Fluted Tumbler 16 oz. Clear Classicware Pedestal Wine 1 pc. 5 oz. Black Profiles Mid weight Square Tray High edge 14 in. x 14 in. Clear Milan Large Dome Lid 14 x 14 in. Designerware Plastic Plate Clear - 6 in. Squat Smooth Wall Tumbler Clear - 9 Oz. 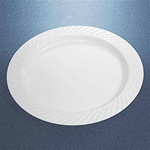 White Opulence Round Catering Plate 7.5 in. Black Opulence Round Catering Plate 7.5 in. White Opulence Round Plate 9 in. Black Opulence Rectangle Food Tray 14 in. x 10 in. 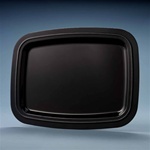 CaterLine Contours Square Dome Lid - 9 in. x 9 in. CaterLine Round Pet Dome Lid Clear - 16 in. x 2.75 in. CaterLine Black Plastic Serving Fork 9 in. Reflections Silver Soup Spoon - 5.75 in. CaterLine Rectangle Catering Tray Dome Lid Clear - 14 in. x 10 in. CaterLine Rectangle Catering Tray Dome Lid Clear - 18 in. x 12 in. 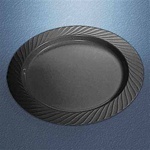 CaterLine Round Thermoformed Platter Black - 12 in. CaterLine Round Thermoformed Platter Black - 16 in. CaterLine Round Thermoformed Platter Black - 18 in. CheckMate Round Catering Tray with High Edge Black - 18 in. 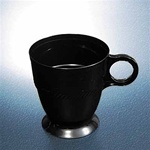 Wrapped Non-Logo Plastic Lodging Translucent Cup - 9 Oz. Wrapped Non-Logo Plastic Lodging Translucent Cup - 10 Oz. Deli Clear Container - 8 Oz. Deli Clear Container - 16 Oz. Deli Clear Container - 24 Oz. Deli Clear Container - 32 Oz. Deli Clear Overcap Container Lid to Fit 8-32 Oz. Deli Clear Recessed Container Lid to Fit 8-32 Oz. CaterLine Contours Square PET Bowl Black - 32 Oz. Classicware Tall Fluted Tumbler Clear - 12 Oz. WNA Comet disposables acquired Berry Plastics in 2013, and now WNA’s top brands include Opulence, Prestige, CaterLine, Masterpiece plastic plates, Classicware, Clear Legacy and WNA Reflections Cutlery. Browse our selection of disposable WNA Comet catering and event products today, and we’ll ship them right to your door.